For all my students, I will dedicate my teaching to make sure you not only learn to love music but also learn to excel in piano. I have expertise helping beginners of all ages learn to play classical, modern, and jazz music. For the students that wish to perform in competitions, you can expect to learn the same material I learned in order to be a performer in all the local competitions. While attending Pepperdine University in 2005 on full merit/music scholarship, Dustin began to give piano lessons to young students in the area as well as his fellow classmates who needed help on improving their performance. This allowed Dustin to hone his skills in teaching both beginner and advanced level students. Dustin has received several awards for his piano performance ability, most namely his graduation from the California Certificate of Merit at age 18 as well as several other competitive awards in the concerto, Bach, and Sonata competitions. Currently, Dustin continues to practice 2-3 hours a day of piano to reinforce the skills learned through his piano career, as well as test out his new teaching ideas and musical interpretations. He mostly plays for his students as well as his young son Landon so his kids can grow up in a musical environment. The mission of the Texas Music Teachers Association (TMTA), an affiliate of Music Teachers National Association, is to advance the value of music study and music making in society and to support the professionalism of music teachers. TMTA is a nonprofit educational organization. Founded in 1886, it is dedicated to the promotion of high quality individual and group music instruction. Its membership includes over two thousand teachers in sixty-five local organizations. All activities of the association are educational and promote the art of music. Dustin practices 2-3 hours a day to meet this goal. 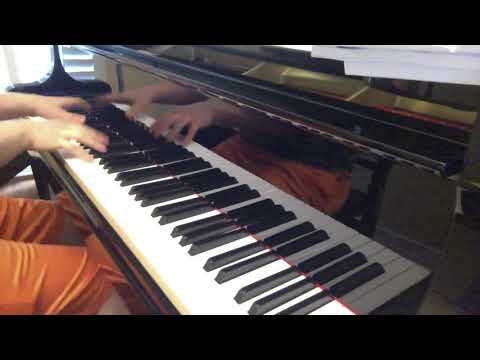 In this video, Dustin is attempting to learn Liszt’s Transcendental Etude No. 12. He is an excellent teacher reliable and focused. He can handle kids well. He is patient with them. I would recommend him to anybody looking for a good piano teacher.